The awards season is almost upon us! Most football clubs take the opportunity to bring their members together at the end of the season for a social occasion and to award trophies to the players who have caught the eye through the year. It’s also a great chance to celebrate other contributions to the club, such as coaching / volunteering. We’ve prepared a quick primer for you to help start planning your club’s awards night. This is usually the most prestigious among players, as it means they’ve earned the respect and admiration of their peers. Coaches will often take the chance to recognise an ‘unsung hero’ – for example, a particularly reliable defender. If you’re lucky enough to have a dedicated following cheering you on through the winter months, it’s only fair to give them the chance to decide one of your awards. An award for the player who has developed most since the previous season, or who has made the most progress during the current season. Fairly straightforward, celebrating your team’s most outstanding net-buster. Encourage the right attitude in all your players by recognising exceptional sportsmanship and respect for the spirit of the game. If you’re presenting awards to a senior side, you might also have a young / veteran player of the year trophy. 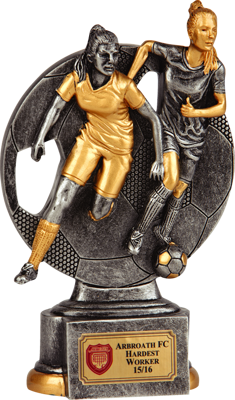 If your club is a youth setup, divided up by age group, you can have awards within each individual team, as well as some overall awards. Some less obvious trophies might include an award for a particular standout performance, or an award for the best performance in an unfamiliar position. Of course, a football club is about much more than just the players on the pitch. No awards evening is complete without an award for volunteer of the year or similar. Contact your membership base well ahead of time to request nominations and encourage votes. By involving everyone in the awards-giving process, you make it more likely that you will get a healthy attendance on the night. As well as the individual awards, take time to congratulate all nominees and give any other honourable mentions, so that players don’t feel overlooked. You might want to combine some other events on the night, maybe spot prizes or a fundraising raffle. Give players who haven’t been nominated for a prize the chance to take something home and they’re more likely to turn out. Ahead of time, it’s important to get a rough number of how many people you can expect to attend. Is your space large enough to fit them in? (As in, comfortably; not like a 126-person defensive wall). Will they all be able to hear all right – will you need a PA system? If you’re using any technology, such as a PA system, or if you’ve prepared a screen presentation to accompany the event, make sure you test the technology in the event space ahead of the day. There’s nothing more frustrating than watching hours of work go to waste for want of the right laptop cable. …The trophies themselves! 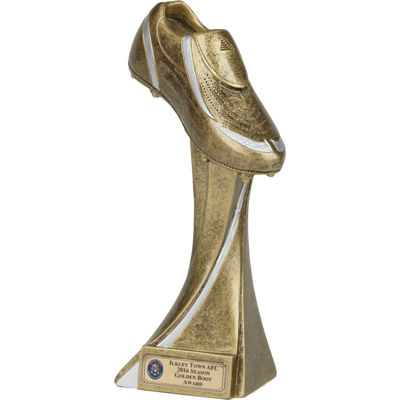 Pendle sportswear has a huge range of attractive, customisable trophies, ideal for your awards ceremony. 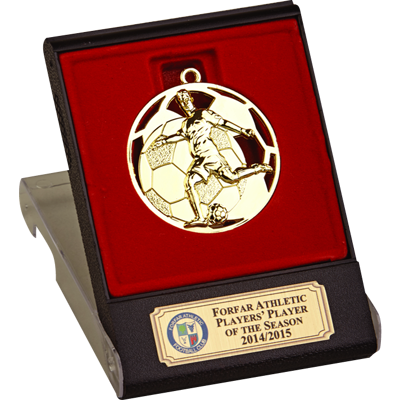 Browse our trophy range to find the best awards for your players. Have a great time at your awards event!